Our affiliates make news. Our blog delivers it. Access the collective insights of the nation's leading integrators and technology providers. Right here. There was a time when compelling digital signage in the lobby of a business, near the cash register at a store, or behind the counter at a restaurant was enough to capture someone’s attention—and their business. But that time is gone. In today’s fast-paced consumer environment giving people something pretty to look at isn’t enough. Consumers need to be moved to action or targeted in a more personalized way to stay engaged with your brand or product. As the needs—and wants—of consumers have evolved, so has the digital signage technology that will help you continue to meet those needs. Complete digital experiences are an expectation of employees and consumers in every demographic and across every industry. Pairing traditional digital signage with newer and more interactive technologies is the key to staying relevant and maintaining engagement. Here are some ways you can start implementing the future of digital signage today. Augment the reality. What is everyone’s lease favorite part of shopping? That’s right, the fitting room. What if customers could bypass the fitting room all together but still buy clothes that fit well and looked great? Retailer Timberland installed smart digital signage in their shopfronts that allowed passersby to “try on” entire collections of clothes virtually using Kinect technology. For customers who prefer to shop from home, an online app and augmented reality in a laptop or phone camera provided the same virtual dressing room experience. Make it personal. Artificial intelligence (AI) is a great way to personalize your digital signage communication. 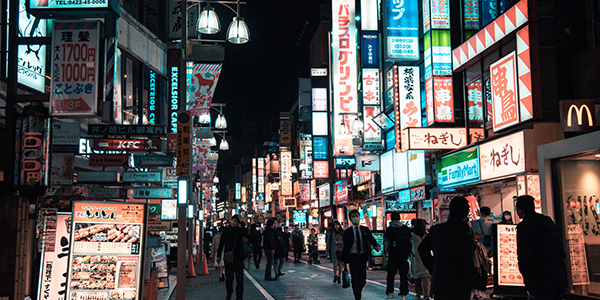 Using a process known as deep learning, programs such as digital signs that are equipped with AI can use data to respond to a certain environment or event in a specific way. AI-enabled digital signage at the front of a store, for example, could determine the gender and estimated age of a customer walking in, and even whether or not that customer had been in the store before, and then use that data to create an image or message targeted to that person’s predicted shopping habits. In Sweden, an interactive anti-smoking billboard was designed to detect smoke nearby, and then play a video of a man coughing. Had the billboard been equipped with AI, however, it could have moved past a simple if/then reaction. For example, the screen could have changed to a video of a man clapping and cheering if the smoker put their cigarette out. Go mobile. Mobile technology has become a regular part of every day life, and integrating mobile solutions into your digital signage deployments is a great way to broaden reach and increase engagement. Take the example of proximity marketing. Proximity marketing helps you target people who are closest to the action you want them to take. Using beacon technology embedded in digital signage near a store’s cash register, for example, you could send flash deals or other customized marketing information directly to the mobile devices of customers waiting in line or getting ready to make a purchase. Cut the cord. Digital signage hardware is evolving just as quickly as digital signage software and keeping up with hardware advances is just as critical to innovative digital signage as new software applications such as AR and AI. For example, System-on-Chip or SoC technology provides the computing power of a personal computer in a compact board that can be built right inside your digital signage display panel. SoC technology will save you money in maintenance and installation costs, and it will also make your digital signage more versatile and flexible. Thin, lightweight displays can be mounted just about anywhere, and with the operation hardware built into the sign itself instead of housed on an external device or player, content can be changed quickly on-site. The software supporting remote updates is advancing just as quickly with better data, user-friendly design interfaces, and quicker upload speeds. Analyze everything. It can be difficult to optimize content for digital signage—or justify an investment in digital signage technology—if you have no idea whether it’s working or not. No matter how expensive and impressive your digital signage implementation, content is still king and ineffective content won’t magically get you the result you want just because it’s on a pretty screen. Better digital signage analytics will help you know whether your creative campaigns are working or not so you can adjust content and delivery methods accordingly. According to a market research report released by Reserachmoz, digital signage will be a key revenue contributor for companies across all industries. Digital signage can help increase sales with targeted ads and promotions that encourage additional impulse purchases. It can enhance brand awareness—digital signage captures 400% more views than static signs—and improve customer retention. Dynamic digital signage content can even be tailored to specific individuals and circumstances to influence purchasing decisions in real-time. Ready to get started implementing the technology—and experiencing the revenue—of tomorrow, today? A PSNI AV Integrator can help. Copyright 2019 PSNI. All rights reserved.